Context - Some consumer products on the European market are packaged to imitate food or appeal to children. 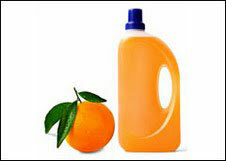 This is for instance the case of certain shower gels, shampoos, body lotions, soaps, liquid soaps and dish-washing liquids. It is reasonable to expect that the closer a product resembles food and the more attractive it is to children, the more likely it is to be confused with food and swallowed. Who runs the greatest risk and what properties and circumstances might increase the likelihood of serious poisoning? Cogeneris was contracted for The GreenFacts Initiative to prepare this summary by the DG Health and Consumers of the European Commission, which authorised its publication. See this publication on europa.eu. Consumer products packaged to imitate food. It is hard to estimate the number of accidental poisonings by cosmetics and household products because most cases are not severe and therefore not reported. Young children and the elderly are particularly prone to accidental poisoning. Most poisonings happen at home and the products involved, apart from medicines, are mainly cosmetic and personal care products such as shower gels, shampoos, body lotions, soaps and nail polish, or cleaning products such as bleach, toilet cleaners and detergents. People who swallow household products by mistake usually do not come to any harm and show no symptoms. Most of the patients that do go to a clinic or hospital need no treatment; although some have their stomachs emptied or are given medication to control the symptoms. Death from these accidents is very rare. 2. What makes children and elderly people more likely to swallow such products? 2.1 For children, the risk of poisoning is the highest around the age of two, as they become more mobile and inquisitive, and tend to put things in their mouth. 2.2 There are several factors that make elderly people more susceptible to accidental poisoning. 3. What makes products appeal to children or resemble food? Some warning labels could make products even more appealing to children. The colour, shape, taste, smell or presentation of some products can make them seem like food. Because of new trends in marketing, similar colours are used both for food and non-food products. Personal care products such as soaps can be shaped like food. In other cases, product packaging can be made to look like a fruit or a drink container. The pictures on the product can also contain food items. Some products smell like food and their names and written descriptions imitate real foods. Products sold or stored near food are more likely to be mistaken for food. Children are attracted by colourful patterns and products that picture familiar characters from TV or books. Warnings on labels have no effect on young children since they cannot read them. Hazard symbols such as skulls and cross bones may make a product even more attractive. 4. What could make those products dangerous to swallow? Ingesting household cleaning products is potentially more harmful than ingesting cosmetics. 4.1 In most cases, swallowing cosmetics is unlikely to cause any serious health effects. Ingesting other household products is potentially more harmful. 4.2 Their most harmful ingredients are corrosive substances, such as acids and bases present in bleach or oven and drain cleaners, which can cause severe burns in the oesophagus or the stomach. 5. What are current safety measures against poisonning? Blister packets can stop children swallowing whole bottles of medication. The safety measures introduced in the last 30 years, such as child resistant packaging and the switch to less harmful substances, have brought down the number of poisonings from household products. Today serious poisoning cases are very unusual. Education campaigns directed to parents and regulations on storage in food containers have also been undertaken but none of these is totally sufficient. Storing tablets in blister packets can also stop children swallowing whole bottles of medication. Using warning labels and stickers, but this is no deterrent for children under 6 years of age, and labels with skulls for instance could even make products more attractive to children. Using packaging that does not appeal to children may not be effective either since children are often attracted to anything within their reach. Adding bittering agents can help stop children drinking significant quantities of a poison, but does not work for some substances such as strong acids or alkalis, where a single swallow is toxic. The bittering agent may even provoke vomiting and increase the risk that the poison might get into the lungs, which is even more harmful. 6.2 In most cases, the effects of swallowing cosmetics or household cleaning products are not serious. Few people report poisonings and show any symptoms, but for those who do, common effects are vomiting, abdominal pain, neurological disorders such as reduced consciousness, low muscle tone, problems with movement, balance and speech, and seizures. Skin rashes as well as difficulty in breathing and swallowing have also been observed. Most effects are temporary, but corrosive products can cause severe burns in the oesophagus or the stomach. 6.3 Accidental poisonings often involve cosmetics and household cleaning products such as detergents, toilet cleaners and bleaches. 6.4 Circumstances that increase the risk of serious poisoning in children are lack of supervision and of awareness of carers about potential risks but there is very little direct evidence linking these factors to child injury. Unsafe childcare practices and hazards are more common in families of low socio-economic status but even affluent families take risks and have accidents.